Established in 2010, the team at Newcastle Skin Check offers comprehensive skin cancer checks using state-of-the-art screening equipment. Our skin screenings are non-invasive and allow for the early identification of skin cancer. With over 25 years of experience in skin cancer medicine, our practitioners can guarantee the best service, from diagnosis, to treatment and management of all skin cancers and Melanoma. Buyaboat are located at Marks Point Marina and Marmong Point Marina located on the shores of beautiful Lake Macquarie NSW. Servicing the Newcastle, Lake Macquarie, Hunter Valley, Port Stephens area. Selling used yachts, power boats and sail boats. 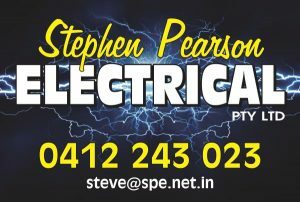 Complete electrical services package for any project. The team of focused, friendly accountants at Hillier’s Advisors offers a wide range of expertise and experience in business advisory, taxation, retirement planning and self-managed superannuation. Whether you need help maximising your refund, implementing the best bookkeeping software, improving your business profitability or assistance with your retirement and superannuation, we can help you get a great result. Contact Ed or Lauren at their Belmont Office on the Pacific Highway. Coastal Shipwright Service specialises in insurance work, marine spraying and paint work, fibre glass and gel coats along with timber fit outs and laid decks. The team at Coastal Shipwright Services has over 20 years experience in full osmosis treatment and will provide and obligation free estimate. 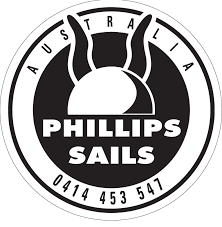 Phillips Sails has been a local business for 47 years and we are proud to be an ongoing sponsor of Lake Macquarie Yacht Club. Our sails are custom designed and manufactured in the local area for the unique conditions of our beautiful Lake Macquarie. Phillips Sails also specializes in rigging, covers and repairs. JR Marine Services assists with boating repairs, detailing and much more. Their goal is to offer the best quality service for the best price. JR Marine Services offers extensive shipwright services to the Lake Macquarie Yacht Clubs slipway facilities at Green Point and Belmont since 2006, and has been part of the industry since 1999. The team at Gerry Wubbels Automatics are committed to excellence. LMYC relies on Gerry Wubbels Automatics for the service of our Courtesy bus and other club vehicles. Cutcher & Neale was established in 1953. Today they’re one of the Top 40 (by revenue) accounting and financial services firms in Australia. Their success is grounded in the traditional values of absolute integrity, personal service and professionalism coupled with innovative thinking. Adam’s Family Meats has been a butcher shop located in New Lambton for 18 years and we are now offering our quality meat products online to service people throughout Newcastle and surrounding suburbs. Purchases made through our online store can be delivered to your home/work or picked up from our shop in New Lambton. We also offer catering with free delivery so you can spend more time with your friends and less time in the kitchen! R&M is a family owned insurance brokerage that has been operating in Newcastle since 1976. Known primarily for their expertise in the Marine industry, our services have diversified organically into a boutique offering of specialist industries. R&M are proud of the family values that infuse our corporate culture. They are an insurance brokerage that exists to benefit others. Lake Mac Holiday Parks are located on the shores of the largest salt water lake in the Southern Hemisphere – between Sydney, Newcastle and the Hunter Valley Wine region. A haven for water lovers, Lake Mac Holiday Parks are in prime positions for boating, fishing, swimming and water sports. With plenty to see and do right on your doorstep, there is lots to love about Lake Macquarie. Starr Facility Services is a leading locally owned and operated services provider in the Newcastle, Central Coast, Port Stephens and Hunter Valley areas. We specialise in all types of cleaning and maintenance for the hospitality, Commercial Fitness, Fitness and Leisure and Educational Facilities. Macquarie Moorings have been servicing Lake Macquarie for over 30 years and have the experience and knowledge to be able to provide the best quality workmanship and customer service. 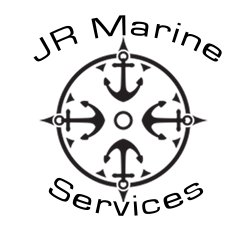 They understand how passionate you feel about your boat and your need to know that your vessel is securely moored. Sticky is a leading digital agency serving clients in Sydney, Melbourne, Brisbane and beyond from our base in Newcastle, Australia. We help companies grow faster with more effective, more measurable marketing.We’re more than you average online marketing consultants, we’re Agents of Growth. They cater to all your boating needs, offering safe and secure wet berthing, swing moorings, dry-storage, a full-serviced boat yard , fuel wharf with pump out facilities and a fully stocked chandlery. For your convenience Marmong Point Marina is open 8am to 5pm, 7 days a week, 364 days a year*.